Have you always dreamed of having your very own bunny? And dressing in an elegant black dress? 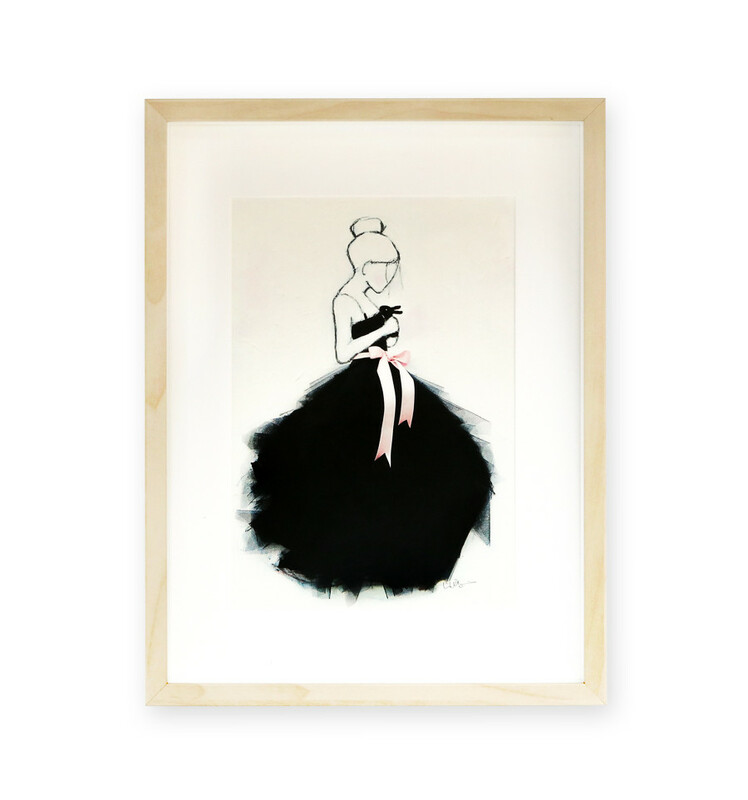 Now you can have both – for your wall – with Le Petit Lapin, an art print made by Lisa W. Breitholtz exclusively for ooh noo. Printed on 300 grams off-white uncoated paper, A4. The print is signed and comes in a cellophane envelope. Limited edition. Frame not included. Print fits standard frames. For the best effect, we recommend framing the print in a standard A3 frame with matting, or if you must, you can also place it in an A4 frame, but this girl and her bunny will appreciate a little breathing room. Keep away from direct sunlight. We recommend framing your print to keep it fresh and new for years to come.